Have some free time today and thought I would try out my new stamps Rogue Redhead Designs. Plus the color challenge is Primary colors of Red , Blue and Yellow. 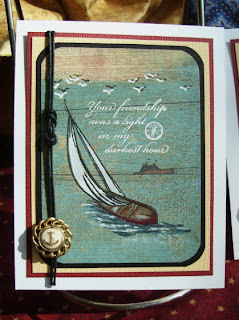 So here’s two little note cards using Shar’s stamps along with Cornish Heritage Farms as they just seam to fit together. I’m using up some small scraps of Basic Grey paper and scraps of color papers. Cards are 3 ¾ x 4 ¾ . Have a wonderful day and thanks for stopping in. Pop over to Rogue Redhead Designs and take a look at these stakps. Thanks Shar. Labels: Cornish Heritage Farms, Rogue Redhead Designs. Oh, wow! These are beautiful! *GASP*! Be still my heart.... these are breathtaking! Loooove them, every last detail! Beautiful cards. Did you crochet the little red flower. The background papers are wonderful. Great notecards Vada! Love your new stamps! 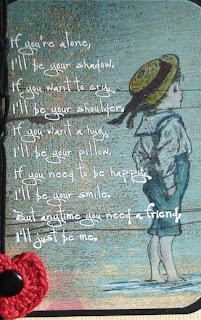 so sweet, the fiirst one reminds me of a vintage chalkboard! darling, I'm sure Shar is thrilled! Absolutely stunning Vada. I hope you have shared these with Shar. Beautiful creations with such beautiful colours. These are beautiful cards Vada! Beautiful vintage feel! Stunning combination of stamps! Wonderful works of art Miss Vada! Just beautiful! I love the white script. Wow - this is an amazing pair of cards, Vada! 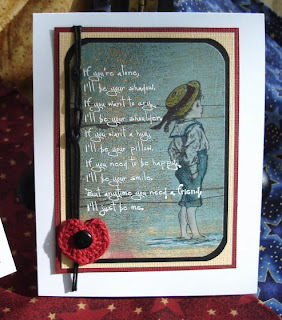 The patterned paper works perfectly with this set and I love the white highlights you added. Beautiful cards, Vada! 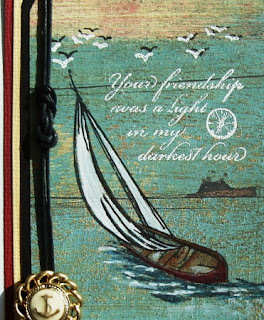 Love the colors and white stamping. These are wonderful, Vada! Love what you did with the images!! By the way, you have just been caught redhead-handed using your Rogue Redhead stamps!